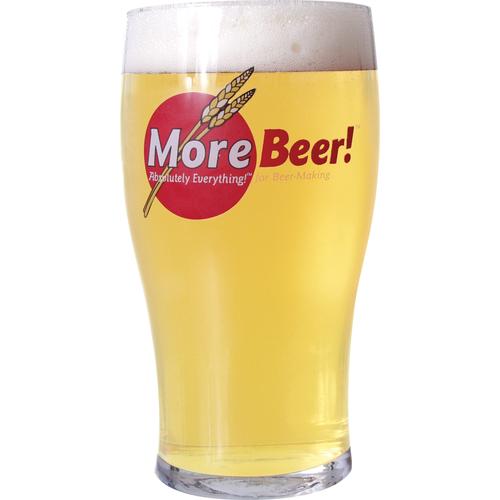 This Kolsch recipe represents a German Lager/Ale hybrid that is very smooth. 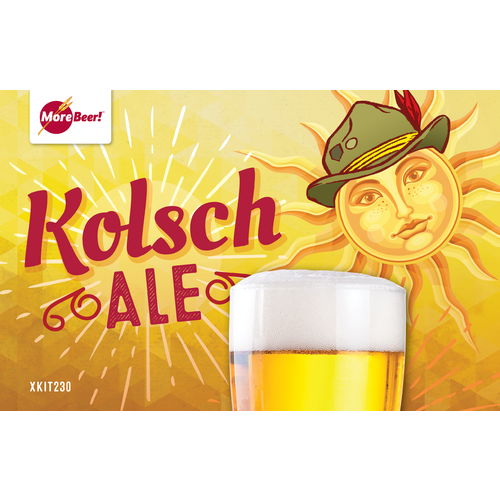 Features a Kölsch yeast strain that is very lager-like even at warmer temperatures. Requires fermentation in the high 50's to low 60's followed by cold aging for several weeks. Blond color, smooth flavor. I have made this more than a dozen times; easy to make great taste! what is the size of the packaging box? BEST ANSWER: Hello Francisco - Package dimensions are roughly 9x8 inches with roughly a 2 inch thickness. Simple recipe for first time BIAB. Came out as a traditional German Kolsch. This was my first kit from Morebeer.com. 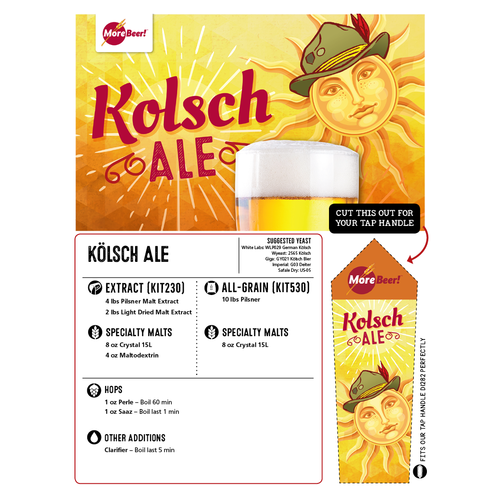 I like to have a Kolsch on tap in the summer months as a lawnmower beer. 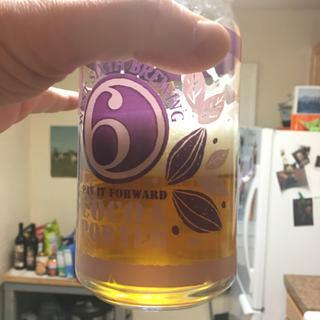 I brewed this one as an AG BIAB and it turned out great. Primaried for four weeks and then went into the keg. Had this in the fridge for almost two months before serving. Nice clean flavor and slightly hazy, just like the picture. I will do this one again. On a trip through Germany and Belgium last fall, I ended up for one very short night in Cologne, Germany. That one day and night in Cologne introduced me to K?_lsch beer served in the traditional .2L stange glasses. We sampled several glasses each from about 10 different brands that night (who can drink only one of this refreshing crisp beer?). I enjoyed that leg of the trip so much, I returned to Cologne this past March to share my Cologne beer experience with a coworker. This beer is very similar to the C?_lner Hofbr?_u Fr?_h brand in my opinion. A very clean finish attributable to 4 months of lagering at 35-40 degrees. A slightly hazy appearance (I don't filter my beers), but not cloudy. A clean, dry, slightly fruity finish makes a this a wonderful drinking beer. This recipe lacks the sometimes bitter tang aftertaste of a few of the K?_lsch beers. Served from force-carbonated kegs, be careful to not over-carbonate this one.